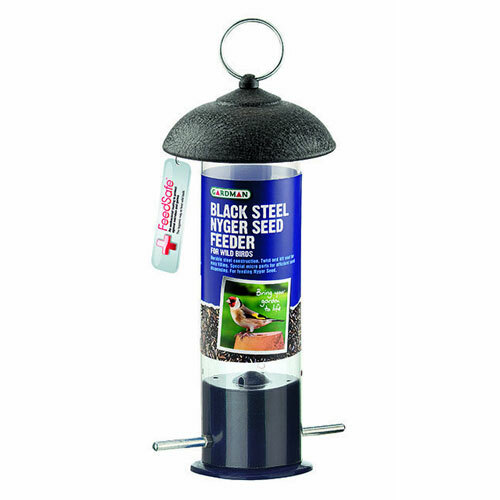 Gardman Black Steel Nyger Seed Feeder for Wild Birds provides a durable steel construction feeder designed specifically to hold Nyger feed. A ready-to-hang wild bird feeder with easy re-fill twist and lift roof, protected with FeedSafe ™ coating inhibiting the growth of bacteria for over 10 years, ensuring safe for wildlife & humans. Approx Nyger feed capacity 200g.